Two tobacco giants paid fines Tuesday that totalled $225 million for their role in cigarette smuggling in the early 1990s — which the federal government says is the largest criminal levies ever imposed in Canada. JTI-Macdonald Corp. and R.J. Reynolds also reached a settlement in a lengthy civil suit with the provincial and federal governments. The companies paid their fines Tuesday morning after pleading guilty in the Ontario Court of Justice, the federal government said in a news release. “Taken together, this is the largest amount ever levied in Canada,” National Revenue Minister Keith Ashfield told a news conference. The fines, combined with the civil settlement, will put a total of $550 million in provincial and federal coffers, bringing an end to a decade of litigation involving contraband tobacco shipped between the United States and Canada. Cigarette smuggling raged through the early 1990s, forcing governments in Canada to eventually reduce tobacco taxes to stem the tide of contraband flowing across the border. JTI paid $150 million after pleading guilty to “aiding persons to be in possession of tobacco not packaged in accordance with the Excise Act,” the federal government said in a release. Northern Brands International Inc. — a company affiliated with R.J. Reynolds — pleaded guilty to a Criminal Code conspiracy and paid a $75-million fine ordered by the court. An anti-smoking group on Tuesday condemned the deal with the governments as a settlement for “chump, saying it amounted to a “sell-out” and a “sweetheart deal” that fell far short of the amount the government originally sought. 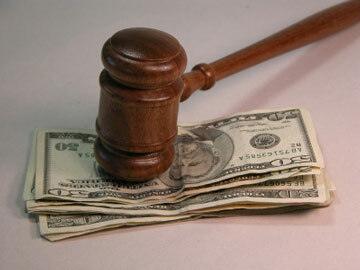 The civil settlements with the two companies come two years after the federal and provincial governments settled with other cigarette makers — Imperial Tobacco and Rothmans, Benson and Hedges, which paid fines of $200 million and $100 million, respectively, in separate court actions. The federal government thus labelled Tuesday’s fine as the biggest, when added together, because they considered the cases one file, dealt with by one judge, rather than separate cases. The money in the latest civil settlement will be shared between the federal government and the provinces, with Ontario, Quebec, British Columbia, and Ottawa receiving the biggest settlements because they were the ones that lost the most. A spokesman for the Canada Revenue Agency said the fines and settlement amount to more than the governments lost in excise taxes. “The huge charitable foundation run by software czar Bill Gates and his wife has yanked funding from an anti-smoking research project in Africa because of the tobacco industry links of a former Canadian cabinet minister. The Gates foundation was alerted by the African Tobacco Control Alliance, a Togo-based group that was organizing some of the research project and was set to co-host a conference with IDRC in Dakar, Senegal. Last Wednesday the African group announced it was pulling out of the meeting because of Ms. McDougall’s perceived conflicts, and the Gates foundation followed up by cancelling its funding for the remainder of the project two days later. This is the sort of queasy-making leaden irony that beggars satire. So, I wont even bother trying to be funny. Barbara McDougall is a partisan hack who has embarrassed Canada in the eyes of the world. She should resign today. Bus drivers have urged the government to clearly define no-smoking areas when the smoking ban is extended to all outdoor bus terminuses later this year. New World First Bus Company Staff Union chairman Chung Chung-fai said bus drivers would have to move to nearby pedestrian areas to smoke, but the boundaries of outdoor transport interchanges were not as clearly defined as covered areas. “The government should state clearly – such as with banners – where exactly the no-smoking areas are. 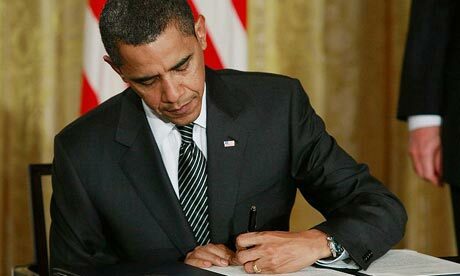 Otherwise it may be easy for us to break the law,” Chung said. About 60 per cent to 70 per cent of bus drivers are smokers, Chung said. The smoking ban will be extended to 128 outdoor transport interchanges in the city by December, including the Star Ferry Pier terminus in Tsim Sha Tsui and the Wan Chai Pier terminus. But five terminuses will be exempt – those at the Central Ferry Piers, the airport, Ocean Park, Nam Cheong Station and Hong Kong Convention and Exhibition Centre. Undersecretary for Food and Health Professor Gabriel Leung said these terminuses would undergo major renovation later this year. “The layout and bus routes may change after the renovation. It will be meaningless if we assign certain areas to be non-smoking now,” he told the Legislative Council health panel yesterday. Lawmakers also expressed concern over the boundary issue during the panel meeting. Fred Li Wah-ming of the Democratic Party said as outdoor terminals had no obvious boundary, tobacco control officials might have difficulties prosecuting. Leung said the government would make sure that the signs would be “clear and everywhere”. Kwai Tsing district councillor Lam Siu-fai said there were a number of bus terminuses in the district that had “dubious boundaries”. Sha Tin district councillor Chan Kwok-tim agreed with Lam and urged the government to recruit more tobacco control inspectors, otherwise the smoking ban would just “remain on paper”. “I always receive complaints from residents that many people are still smoking in restaurants, but it has been more than three years since the indoor smoking ban,” Chan said. The African Tobacco Control Alliance (ATCA) today welcomed the decision of the Bill & Melinda Gates Foundation to terminate a multimillion dollar grant to a leading international health research agency because of the potential of tobacco industry influence on the agency’s policies. ATCA, a coalition of African tobacco control organizations had announced on Wednesday that it was pulling out from a planned Pan-African tobacco control meeting in Dakar which it was to co-host with the Canadian International Development Research Centre (IDRC) after discovering that the IDRC has on the Board of its Directors a person who also serves the interests of tobacco industry. The Dakar meeting was to be financially supported by the Gates Foundation. ATCA thanks the Bill and Melinda Gates Foundation for its principled decision in immediately terminating a contract and partnership with IDRC following this revelation. The foundation’s decision is an important signal to philanthropies and governments that they must be ever vigilant in protecting their policies and programmes from interference by the tobacco industry. The foundation terminated a US$ 5.2 million grant to the Canadian International Development Research Centre (IDRC) on Friday after it learnt of the conflict of interest. The purpose of the grant was to support tobacco control activities in Africa. reduce tobacco use in Africa. The African Tobacco Control Alliance (ATCA) welcomes this decision by the Gates Foundation. “In ountry-after-country the tobacco industry seeks to avoid, delay, dilute and defeat laws and policies designed to reduce tobacco use. It is vital to protect public health policies from tobacco industry interference and the Gates Foundation has shown extraordinary leadership in this regard”, says Ms Kitonyo. The African continent is a key growth market for tobacco manufacturers and an increase in tobacco use will bring with it addiction, disease, death and an increase in poverty. This is a direct violation of IDRC’s mission of supporting research that will help to build healthier, more equitable, and prosperous societies in lower and middle income countries (LMICs). The chair of the IDRC cannot serve two opposing causes at the same time. The issue also poses a major challenge to the Canadian government, as the IDRC is a Canadian crown corporation and the government appoints its chair. ATCA urges all governments to recognize that it is fundamentally wrong to appoint a tobacco industry official to chair a government agency with responsibilities for health. The IDRC appointment also runs counter to Canada’s obligations under a global tobacco treaty, the WHO Framework Convention on Tobacco Control (FCTC). interests to be a member of any government body, committee or advisory group that sets or implements tobacco control or public health policy,” The IDRC appointment is against both the spirit and the implementation guidelines of the FCTC and the government of Canada which has long been a leader in tobacco control must recognize this. A 2008 WHO report reviewed the tactics used by tobacco companies to interfere with tobacco control policies. The strategies include direct and indirect political lobbying and campaign contributions, establishing inappropriate relationships with WHO staff, discrediting WHO or WHO officials, using surrogates, such as front groups and trade unions, distorting scientific research, and buying influence through corporate social responsibility programmes. ATCA calls on Canada to act quickly to correct the situation and urges all governments to comply with the spirit and letter of Article 5.3 of the FCTC. The theory that high taxes on cigarettes increase smuggling was criticized by experts from Turkey, India and Hong Kong who gathered in Istanbul on Wednesday. The experts met to discuss the effect of smoking bans and raising taxes on cigarette smuggling. Along with the National Committee on Cigarettes and Health, or SSUK, in Turkey, they presented facts and figures to show that high cigarette prices will deter smoking and will not lead to significantly more cigarette smuggling. There have been reports in the Turkish media that cigarette smuggling has increased 20 percent because of the smoking ban, which is believed to reduce government tax revenue. 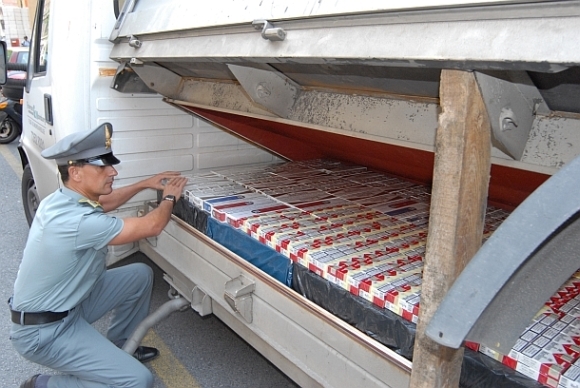 Experts, however, disagree; SSUK President and professor Elif Dağlı said cigarette smuggling is not likely to be individual work but the result of organized crime. In order to increase smuggling by 20 per cent in Turkey, one would need a staff of approximately 20,000 people to work in distribution and sales, she said. However, she said she expected the tobacco industry would attempt to reduce the price to lower government tax income in the coming months and lobby the government into loosening the smoking ban. She further offered statistics on how cigarette smuggling is high in countries with lower taxes and lower in the ones with higher taxes. 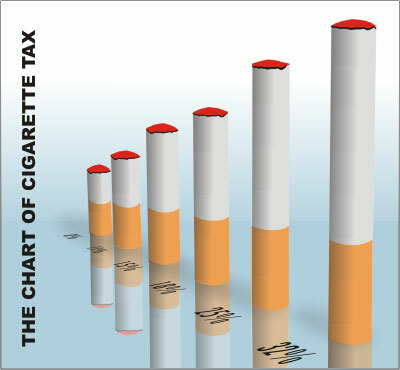 “The most important factor in reducing tobacco consumption is having high taxes applied on cigarettes. 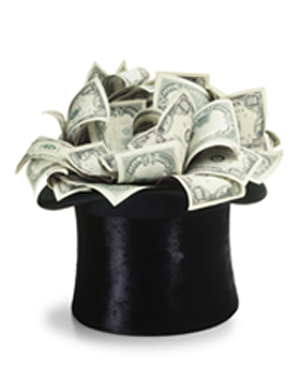 As doctors, we say high cigarette prices are good for [national] health,” she said. Dr. Lam Tai-Hing, director of the school of Public Health from the University of Hong Kong, said the most important method for fighting against smuggling is to give resources to customs, as smuggling will go on even without raising taxes. Dr. Prakash C. Gupta, meanwhile, director of the Healis-Sekhsaria Institute of Public Health in Mumbai also said smuggling happens to countries with low access control and is not a function of price. To further emphasize the fact that smoking kills, Lam estimated that two-thirds of smokers will be killed by related diseases if they start smoking at a young age, with a quarter dying between the ages of 35 to 69. He said by 2030, 8 million people could be killed per year, with 80 per cent of them in low-and-middle income countries. In the last century, smoking killed 100 million people, but is expected to kill 1 billion people in this century. Moreover one-third of adults are also exposed to second hand smoking, which also kills about 600,000 people per year. Lam said raising tax is the most effective way to reduce tobacco consumption, adding that cigarette taxes should be at least 75 per cent of the price. “Politicians may become unpopular if they impose high taxes but tobacco is one product that the consumers want to give up,” Gupta said. Turkey’s smoking ban took effect on July 19, 2009, outlawing smoking in all enclosed public places, such as bars, cafes, restaurants and places where nargile is smoked. Smoking is also not allowed in taxis, trains, outdoor stadiums as well as private and public schools. Hotels are also required to set up rooms with ventilation systems that meet established standards for guests who smoke. These rooms must be on the same floor or corridor of each other. Under the legislation, special sections made for smokers cannot exceed 10 percent of the overall space, and must be isolated from other enclosed areas. Similar-sized areas can also be created on the decks of sea-transport vehicles for smokers on intercity and international routes. People under the age of 18, meanwhile, will not be allowed to enter these sections. Businesses are additionally required to make arrangements that protect nonsmokers from fumes if smoking is allowed in open-air parts of their premises. Individuals who do not obey the ban are fined 70 Turkish Liras, while those who let people smoke in enclosed areas are fined between 572 and 5,723 liras. Despite strong industry opposition and the belief by some that the ban is too strict, Turkey’s smoking ban was highly praised by other countries at this year’s Asian-Pacific Organization for Cancer Prevention congress, according to Dr. Nejat Özgül, deputy president for the anti-cancer department at the Health Ministry. “If we want to win the war against cancer, we have to win the war against tobacco,” he said. About 19 million lives could be saved every year if India increased tax on beedis to 40 per cent from the present 9 per cent and on cigarettes, 78 per cent from 38 per cent, said experts here today. Director of the National Institute of Public Finance and Policy M Govinda Rao said the tax structure in India on tobacco was not based on nicotine content. Cigarettes are taxed based on their length. Tobacco taxes were not regularly adjusted for inflation and over time tobacco products were becoming increasingly affordable, he added. A report — Economics of tobacco and tobacco taxation in India — by both Indian and international economists released here today states simplifying the tax system by reducing differential taxes across products will help convey a clear message that all tobacco products are harmful. The report is part of a series of the Bloomberg Initiative to reduce tobacco use. 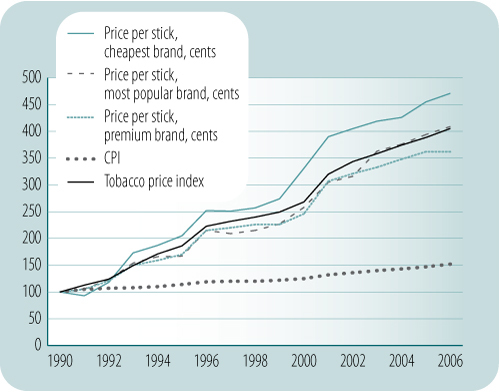 Studies of price elasticity in India have found that a 10 per cent increase in tobacco prices is estimated to bring down beedi consumption by 9.1 per cent and cigarette consumption by 2.6 per cent. Director of Centre for Global Health Research, Toronto, Prabhat Jha, said the number of smokers in India were increasing fast. In urban areas, there has been a near doubling of smokers with 13 per cent smoking prevalence in 1999 increasing to 25 per cent by 2006. In addition, he said, quitting before a disease struck, was highly uncommon in India. “Only two per cent of Indian adults are ex-smokers as compared to 40 per cent in the US or UK, or 15 per cent in Thailand. With an estimated 120 million smokers, India has the second-largest group of smokers in the world after China. The report points out that cigarette taxes of 38 per cent are way below the recommended rates of 65-80 per cent of retail price present in countries with effective tobacco control policies. Beedis are very cheap, with an average pack costing Rs 4. Taxes on beedis average only nine per cent of its retail price, it states. Below are several PDFs related to Smoke-Free initiatives around the world.